This project was a freelance story written by Robert Alcaraz for Tucson Weekly. 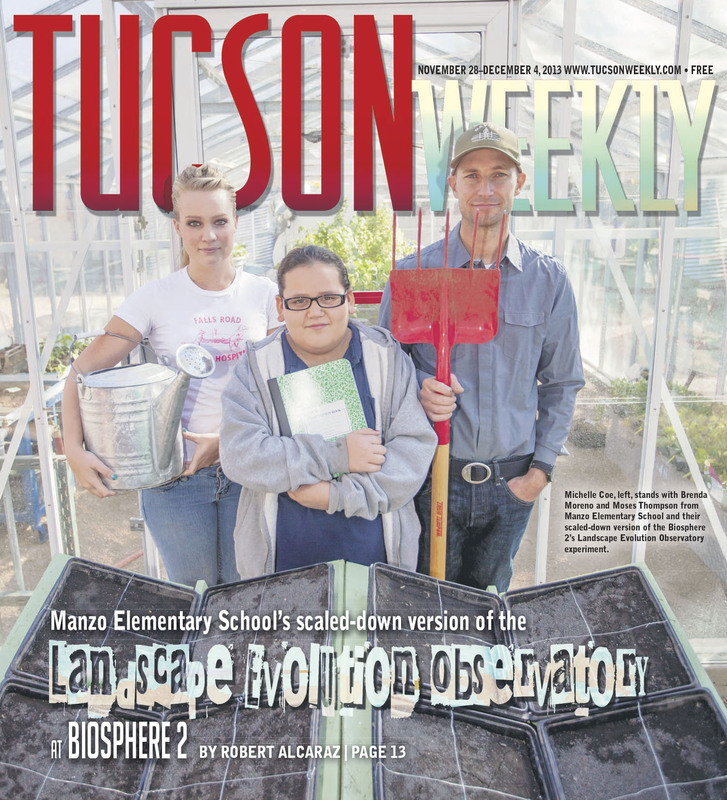 The story follows a budding new partnership between Manzo Elementary School in Barrio Hollywood and the University of Arizona’s Biosphere 2. Manzo is a small bilingual community school in one of the poorest communities in country has, of late, become a poster child for hands-on, project-based learning thanks to their counselor Moses Thompson who has pushed a nationally recognized ecology program. Robert’s story talks about how Manzo has partnered with Biosphere 2 to help the Manzo students learn practical skills while also improving in math and science.